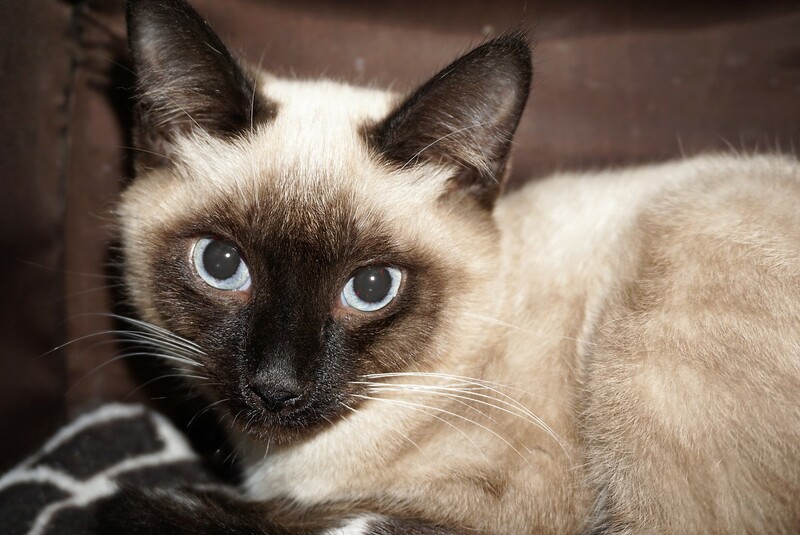 Dufferin was surrendered to Rescue Siamese as a stray–he was found with 3 other kittens on Flora Street. While Dufferin doesn’t mind being picked up, he is quite shy and will need a patient family who can help him socialize. He is good with other mild-mannered cats and would do well in a home without any alpha-personality felines or very young children (<8 years). If you would like to meet Dufferin, you can visit him at our store location at 38 Barberry Road.